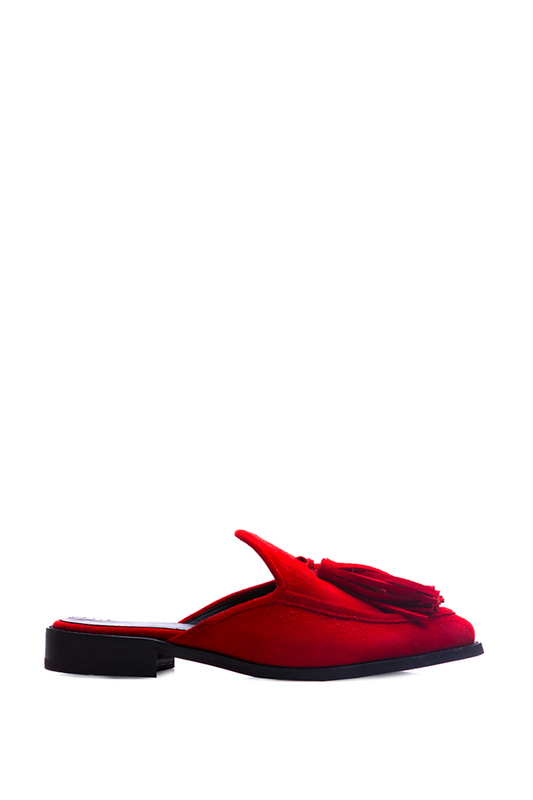 Zenon's slippers are perfect for matching to your suit on office days. 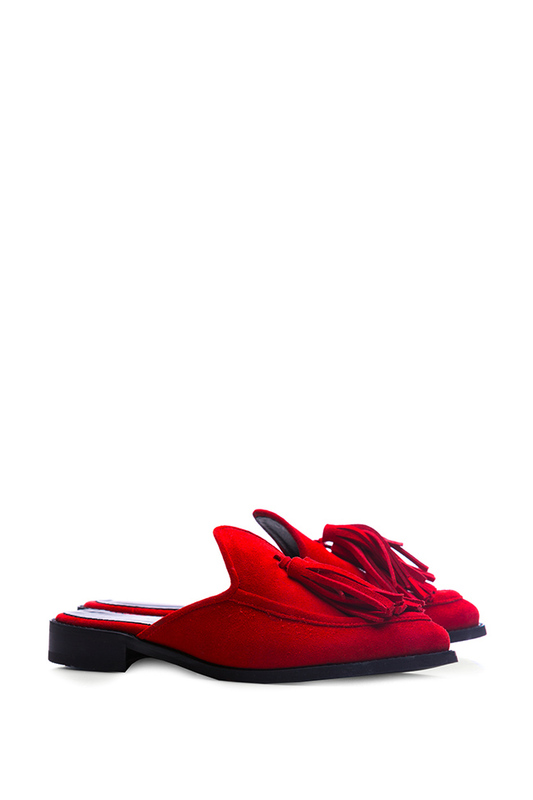 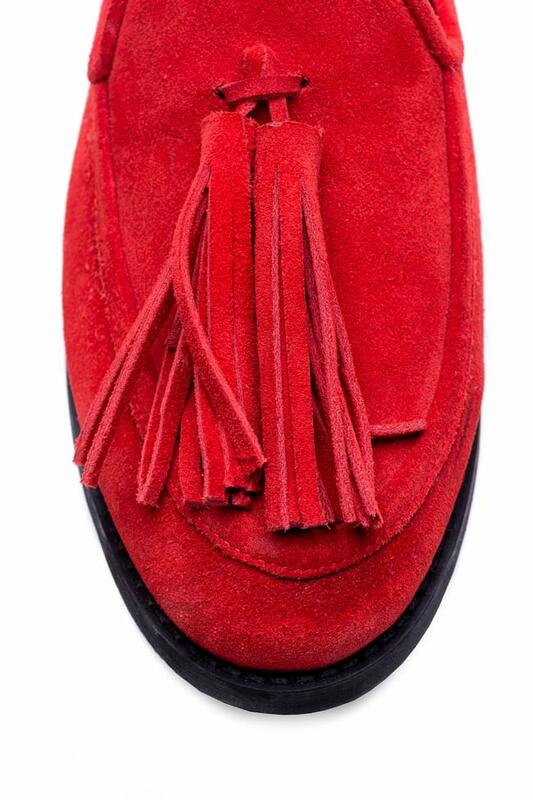 They're handmade from red suede and trimmed with red suede tassels. 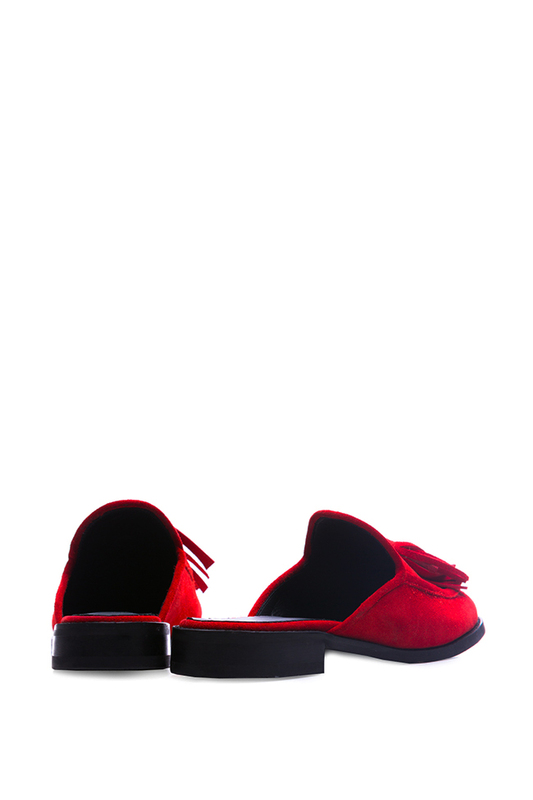 Wear yours with dresses or with denim pants.